Where Can I Download OneKey Recovery Software? If recovery partition was deleted or lost? To download OneKey Recovery is necessary, you can download built-in OneKey Recovery of computer, or download AOMEI OneKey Recovery. OneKey Recovery is the backup and restore solution that create recovery partition for system to protect system from disaster. When you press onekey recovery button, computer will restore the previous backup status. Usually, there are two kinds of onekey recovery software - branded computer onekey recovery program and the third party onekey recovery software. Lenovo one key recovery can be taken as the example, system recovery partition has been created before you buy new computer. But it has many flaws such as you can't restore system backup images after you reinstall system. if you think branded onekey recovery not good, you can download onbekey recovery for your windows system and use it to create onekey rescue system disk. For some reasons, some users may uninstall built-in onekey recovery software, or reinstall system, but they still want to use branded computer onekey recovery to restore system. There are some download links about some branded computer onekey recovery software. You can download it according to what your want. Click here to download:This is for Windows 8 (64-bit) - Notebook. In fact, recovery program is not the patent of branded computer. Non-branded computer can also make a recovery partition to backup and recover system by install third-party recovery software, which is not different from the built-in OneKey Recovery function in computer, even some of the third-party Recovery software is better than the built-in function. 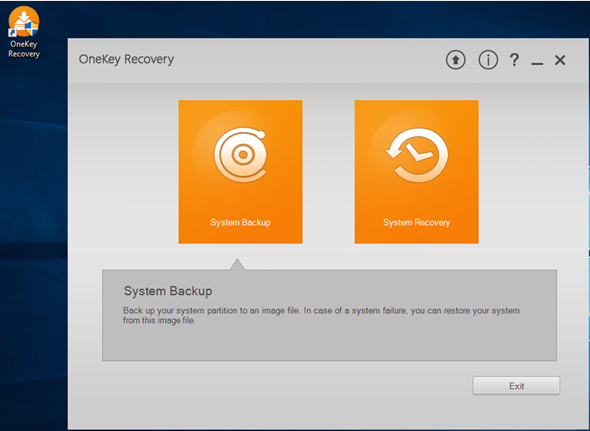 AOMEI OneKey Recovery is one of the third-party system backup and recovery software. 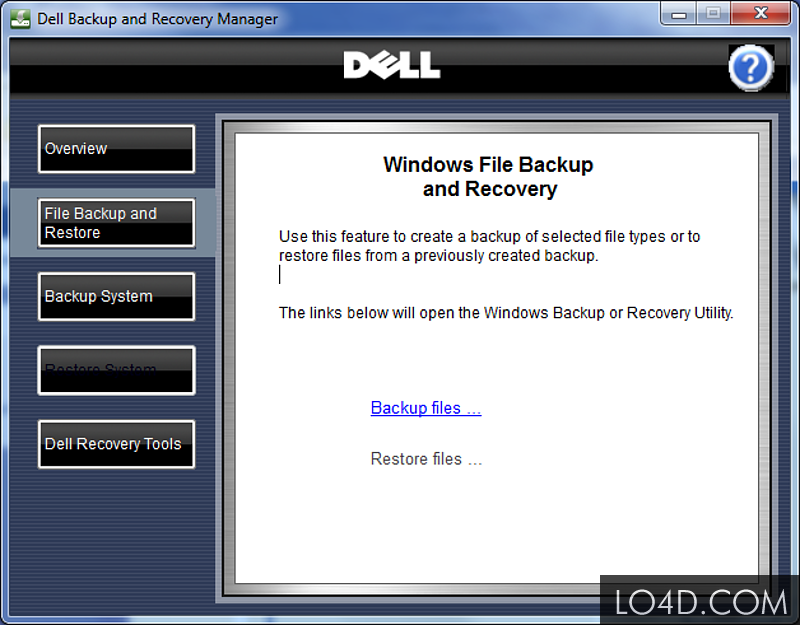 It can help common user backup and recover system partition. When computer system was damaged or happens something unexpected, only press some specific key, and computer will be recovered to the status that is previous backed up. You can backup and recover anytime. If you buy a new computer, and you don’t like some preinstalled application, you can download AOMEI OneKey Recovery and back up system again. AOMEI OneKey Recovery is only focus on your system partition, and be not reluctant to other partitions. So does recovery process. You don’t need to worry data and files in other partition will be lost. 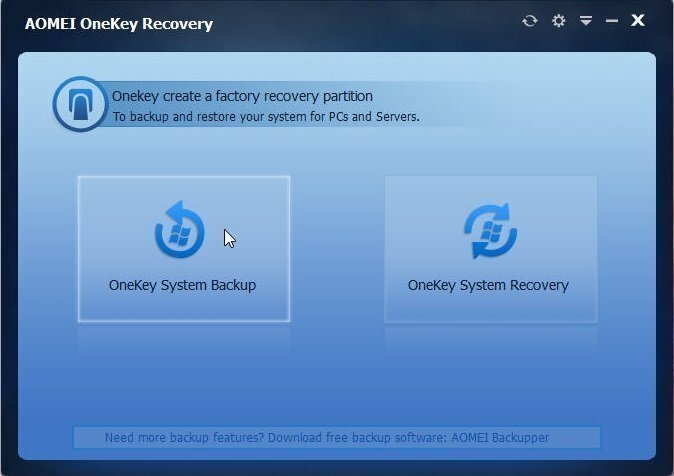 The space of recovery partition made by AOMEI OneKey Recovery won’t be large, because it will take incremental backup way. The second time backup will cover the first time backup. Where can I download OneKey Recovery? As mentioned above, every software has their own feature, and the final words should be spoken by yourself. If your recovery partition was deleted or lost accidently, you can download the branded software in computer, such as HP Backup and Recovery Manager. but it is very hard to find, because they don’t offer official website to download, you have to download in the third-party website. Besides, we you use HP OneKey Recovery, you have to prepare a large external hard disk. 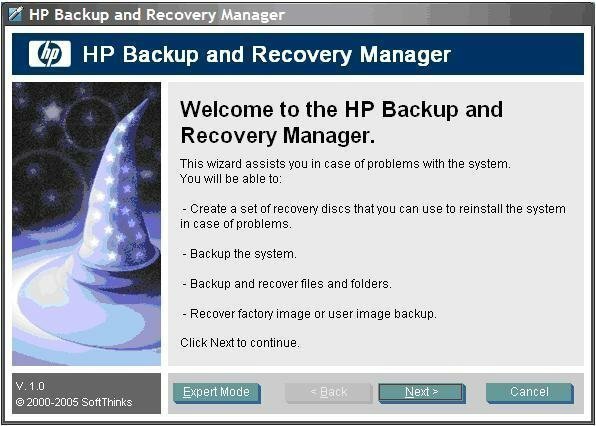 HP Backup and Recovery Manager will delete all data and files in hard disk. this feature is a fatal shortcoming most built-in OneKey Recovery software or function have. If you don’t want to spend too much time and energy on system back up, AOMEI OneKey Recovery is a good choice. It is more easy and convenient for users to operate. You can download one key recovery software in its official website.